Hilton Head Island Hotels & Resorts - Guide to Luxury Hotels, Resorts, Inns, Spas, Accommodations and Places to Stay on Hilton Head Island. 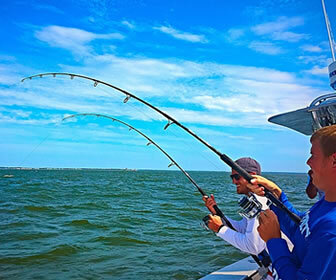 Hilton Head Island has a variety of luxury hotels, resorts and accommodations for family vacations or quiet getaways. Stay on the beach in oceanfront resorts with ameneties such as tennis, day spas, fine dining, poolside relaxation, bicycle rentals and all the conveniences at your disposal. Hilton Head maintains strict building codes ensuring that no hotel towers over the treeline, so 5 stories is as tall as they get on the island. That attention to detail ensures that the natural setting is preserved and you feel as if you are part of a secluded retreat that blends harmoniously with the surroundings. This is what makes Hilton Head Island such a treasure and keeps visitors coming back year after year when other coastal destinations continue to lose their charm by overdeveloping and commercialization. You won't find that on Hilton Head. You will find the finest luxury resort hotels from Omni, Marriott, Sonesta, Westin, Ramada, Holiday Inn and other leading brands of hoteliers who know a thing or two about Southern Hospitality. Less than a mile from both Coligny Beach Park and Coligny Plaza Shopping Center, this contemporary hotel is 5 miles from the history museum in Harbour Town Light. Warmly decorated rooms feature free Wi-Fi, flat-screen TVs and complimentary movie channels, as well as minifridges, microwaves and coffeemakers. Some rooms have balconies. The lone suite offers a living room and a whirlpool tub. Freebies include parking, and hot breakfast served in a bright dining area. There's also a fitness room, and an outdoor sitting area with a fire pit. Bike rentals and guest laundry facilities are available. 153 spacious rooms featuring coffeemakers, irons, and hair dryers. Complimentary continental breakfast. Restaurant and lounge. Situated on 6 wooded acres with 3 lagoons and outdoor heated pool. Walk to the beach and over 100 shops and restaurants. Spacious accomodations, beautifully furnished. The unit is large and has a fully equipped kitchen.The hot tub and heated swimming pool were heavenly after golf every day. Washer and dryer in the unit. Features an oceanfront outdoor pool with a children's pool, direct beach access, and a 10-court tennis center. Free WiFi is available throughout the resort. A full kitchen and a seating area with a sofa bed are found in the villas at the Hilton Head Island Beach and Tennis Resort. Villas are also equipped with cable TV, a DVD player and a private balcony. A fitness center and a bicycle hire are offered to all guests of the Beach and Tennis Resort Hilton Head Island. A playground area is also on site. There are 2 restaurants located on the resort. 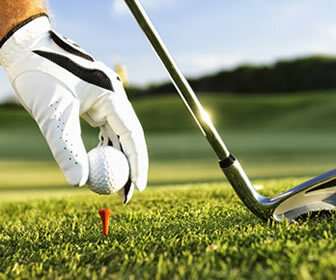 The hotel offers discounts on golf courses in the area including 2 courses at the Port Royal Golf Club. The golf club is 5 minutes' drive from the resort. The historic Harbour Town Lighthouse is 9 miles away. Situated oceanfront in Hilton Head Island's Palmetto Dunes, the spectacular resort offers airy rooms with balconies and free Wi-Fi in a modern resort offering 3 golf courses, 2 pools and a spa. Spa Soleil offers a variety of services and treatments. Guests looking for a workout can play at one of 25 onsite tennis courts, or burn off some calories at the fitness center. Golf lessons are offered as well. Guests can indulge at Blue, which offers cuisine with a local flavor. If you are looking for a great way to save on a luxury Hilton Head vacation, try renting or purchasing a Hilton Head timeshare from a private owner. At secondary marketplaces like SellMyTimeshareNow.com, you can find great timeshare deals at a fraction of resort prices. Hilton Head timeshare units are adorned with modern luxuries that help you feel right at home. At the Coral Reef Resort, you'll experience spacious townhouse living with free wifi, washer/dryers, separate dining and living areas, TVs and full kitchens. 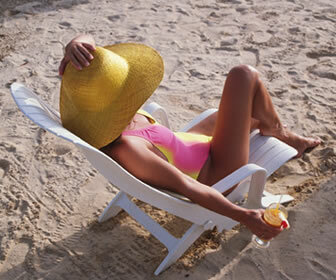 Hilton Head timeshare resorts also include an array of wonderful on-site amenities for the entire family to enjoy. The Marriott Grande Ocean, for example, offers access to three outdoor pools, an indoor pool, fitness center, whirlpools, bocce ball, shuffleboard, mini golf, bike rentals, direct beach access, on-site dining and more! 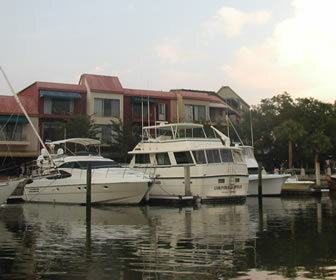 Visit SellMyTimeshareNow.com to view a wide selection of Hilton Head timeshares for rent and for sale. Located on the Intercoastal waterway, this new property makes a great "hub" for Lowcountry touring. Outdoor pool/whirlpool, fitness center and business center. Breakfast, Lunch and Evening Room Service. Microwave, refrigerator and coffee maker in every room. The Hilton Head Hilton Garden Inn features on-site dining at the Great American Grill restaurant as well as a 24-hour convenience store. Guests can also take advantage of the modern fitness center and the outdoor swimming pool. The modern rooms feature desks, free Wi-Fi and flat-screen TVs with cable channels, plus minifridges and coffeemakers. Room service is offered, and kids 19 and under stay free with an adult. Amenities include an on-site, Southern-style restaurant (where kids 12 and under eat free), a tiki-hut beach bar, an outdoor pool, and business and fitness centers. Meeting space is available. On The Sea Pines Resort and 1.2 miles from both Baynard Cove and the beach, this upscale hotel is a 5-minute walk from the Harbour Town Lighthouse. Plush, country-style quarters feature free WiFi and flat-screen TVs, as well as high-end bathrooms with soaking tubs. A 2-bedroom suite adds separate living space, a kitchenette and a view of the golf course, as well as a balcony. Room/butler service is available 24/7. Freebies include a resort shuttle, and access to Sea Pines Beach Club. There's also a chic bar with a terrace, plus an outdoor pool, a sundeck and a gym, as well as a golf club house with a posh grill and golf course access. Located one mile from Sea Pines Beach, this hotel features a full kitchen in every villa, gym and seasonal outdoor pool. Marriott's Heritage Club villas include a separate living area, dining room and balcony. The villas have a spa tub and separate shower. The Heritage Club features concierge service with information on area activities and events. The hotel also provides guests with barbecue facilities. This beachfront South Carolina hotel features 2 outdoor pools. Guests will have access to free WiFi in all areas of the hotel. Each accommodations features a fully equipped kitchen, complete with an oven, stove top, and a dishwasher.. Flat-screen TVs, separate dining areas, and private balconies are also available in rooms at Marriott's Grande Ocean hotel. A spa, fitness center and business center are all available on-site at Marriott's Grande Ocean. Tennis and golf facilities are also offered. The seasonal pool bar is open for lunch while The Dolphin Grille offers casual dining poolside. Located on 6 oceanfront acres, this hotel features 2 outdoor pools and 3 hot tubs. Spacious villas include full kitchens and the hotel is adjacent to the Sea Pines Beach Club. Guest accommodations at Marriott's Monarch at Sea Pines include free WiFi and three 32-inch flat-screen cable TVs. Each villa provides separate seating and dining areas along with private balconies. The bathrooms include a walk-in shower. Guests can use the gym located on site. It features cardiovascular equipment and free weights. Monarch Marriott at Sea Pines also includes table tennis and barbecue facilities. Harbour Town Golf Links is 9 minutes' drive from Sea Pines Marriott's Monarch while Coligny Beach Park is 7 minutes' drive from the property. Relaxed villas with full kitchens and free Wi-Fi in a riverside property with a pool and tennis. The laid-back 2-bedroom villas have kitchens, private balconies and free Wi-Fi, plus living rooms with pull-out sofas and flat-screen TVs with premium cable channels. All also have washer/dryers. The resort has a marketplace with sundry items and Starbucks coffee, an outdoor pool and a whirlpool, plus an outdoor area with a fire pit and a gazebo. Other amenities include a fitness room, a business center and free parking. Activities such as table tennis and regular tennis are available. Laid-back hotel with a private beach area and dining, plus indoor, outdoor and saltwater pools. SurfWatch's spacious villas include sitting areas, dining areas and full kitchens. They have 32-inch flat-screen TVs with HBO, free Wi-Fi and DVD players. Laundry and ironing facilities are also provided. Marriott's Surfwatch has an on-site deli. It also has a Pizza Hut Express, picnic area and game room. This luxe riverside resort on a 20,000-acre property is 11 miles from the Church of the Cross, 23 miles from Driessen Beach Park along the Atlantic Ocean, and 26 miles from Savannah/Hilton Head International Airport. Accommodations range from rooms with smart TVs and marble bathrooms, to Southern-style cottages with fireplaces and screened-in porches. Some quarters feature kitchens. Room service is offered 24/7. Amenities consist of 8 restaurants and bars, along with an outdoor pool, a golf course and a chic spa. A resort fee provides Wi-Fi and gym access, as well as use of kayaks, fishing gear and tennis courts. Minimum-stay rules may apply. Newly Remodeled Spacious Rooms, with full service Fitness Center, indoor/outdoor pool and walking distance to beach, shopping and restaurants makes Players Club Hotel the Perfect Location for the Perfect Vacation. A private patio, free WiFi, and a seating area with a sofa are provided. Players Club DeAllyon Avenue Apartment extras include a cable TV with a DVD player, towels, and an en suite. The fitness center, sauna, and children's playground are available to all guests throughout their stay. Laundry facilities are on site as well. The Van Der Meer Tennis Center is adjacent to the property. Residence Inn features studio and loft suites with fully equipped kitchens. Complimentary deluxe continental breakfast is served daily. Business or pleasure, a day, a week or more - Experience the Marriott difference. Hilton Head's Newest Oceanfront Upscale Resort. Amenities include, 3 pools, beachside snack bar, health club and popular restaurant. New, spacious studios with fully equipped kitchens. Convenient to shopping and all activities. Golf packages. Nightly & Weekly Accommodations.